Palad Khik Nuea Pong Kru Klong Takian Wat Pradoo Song Tam (Nork Pim) - A highly unusual and extremely rare Palad Khik amulet, of which only a very few were ever found, and which are hardly documented, making them 'Nork Pim' (Unusual Models). The Palad Khik is made from Nuea Din Pasom Pong Bailan, and possesses all the features present within the Muan Sarn Sacred Powders of the Pra Dtragun Kru Klong Takian Pantheon of amulets of this Hiding Place find. The amulets were found in a large number of different forms, some in large numbers, other models in very small numbers, which are very rare to encounter, as well as some individual items which did not fit into any general classification (Nork Pim). Some amulets possess a Kring Bead within the amulets, some of which rattle when shaken. 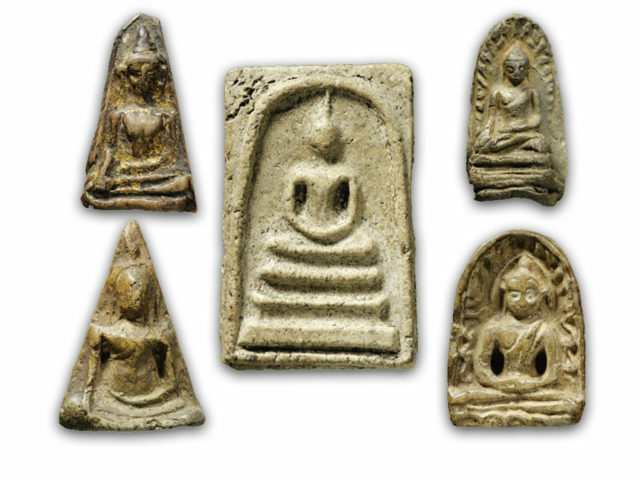 Whichever of these beliefs is true, what is certain, is that all the Pra Kru Klong Takian amulets, date from before the end of the Ayuttaya Period, and derive from a time when the most powerful Masters walked the forests and wildernesses of Thailand, and the most sacred Blessings, and Powerful Sorcery of that Era, is present within the amulets. 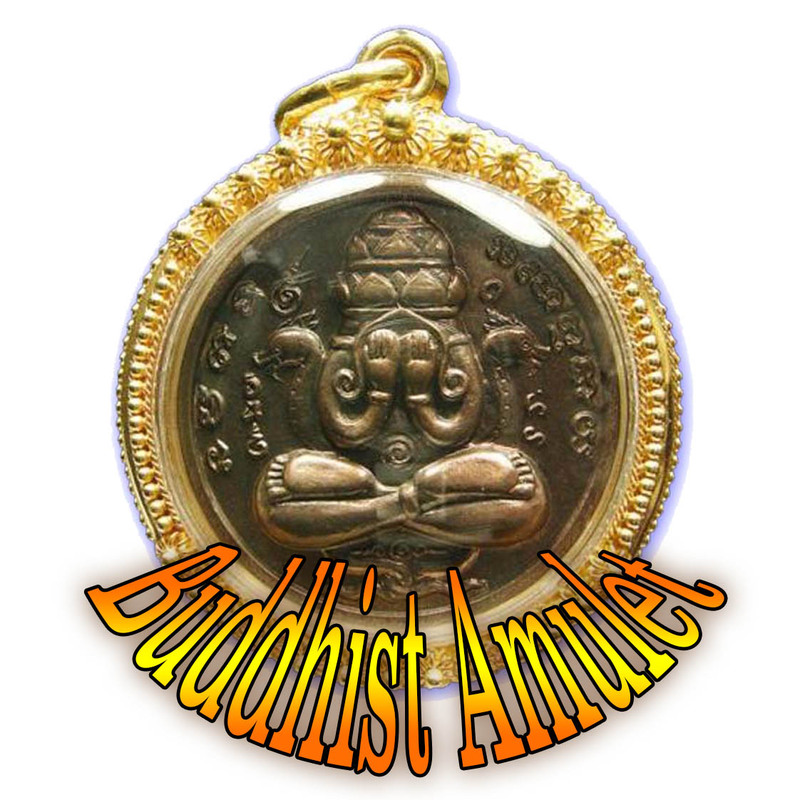 One of the most famous and accepted pantheons of the Pra Kru Category of Pra Niyom master-Class amulets in History, and an Eminent Member of the Tamniab Pra Niyom of the Samakom Pra Krueang Thai appreciation societies.